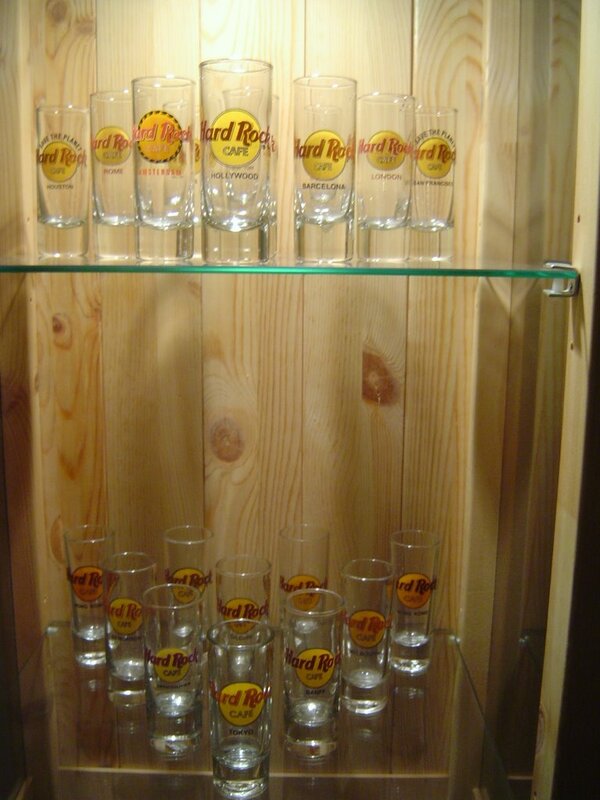 B has this absolutely amazing HRC shot glass collection, which at times, makes me green with envy, seeing them in his glass case, carefully polished and beautifully displayed in all their HRC grandeur! 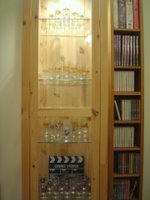 His collection started during his university days in Coventry, UK. What began as mere fascination, gradually turned into an attractive hobby. One of his personal favorites is the one from Banff, Canada, a world famous resort town flanked on all sides by Alberta's Rocky Mountains. While visiting his sister in Calgary, B stumbled upon HRC Banff on one of their outings, which to him was one pleasant discovery. 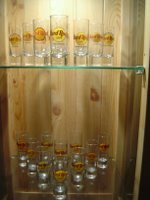 B's HRC shot glass collection grew bigger thanks to friends, family and colleagues who, when traveling, will get him one as a memento of their trip. It got to a point where he no longer had to remind people that "Hey, don't forget to bring home a shot glass for me". 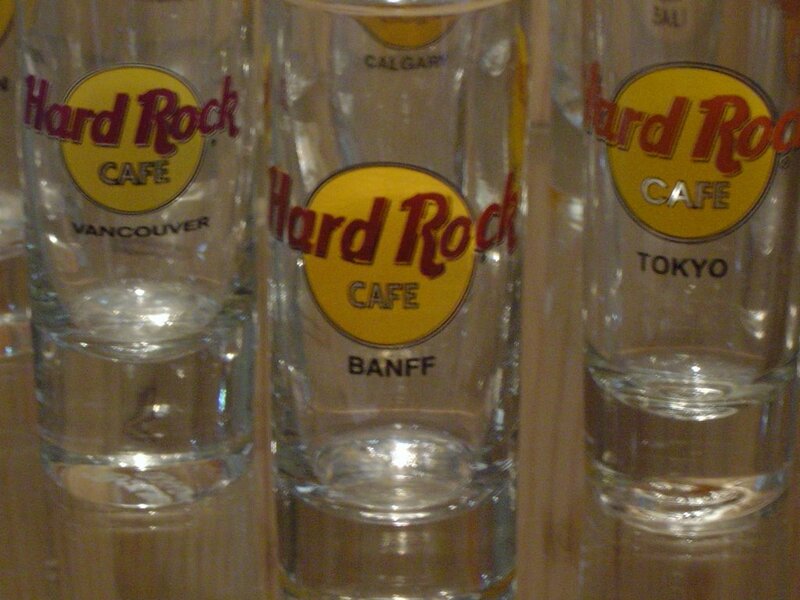 Whenever someone goes traveling, he or she would automatically get B his shot glass. 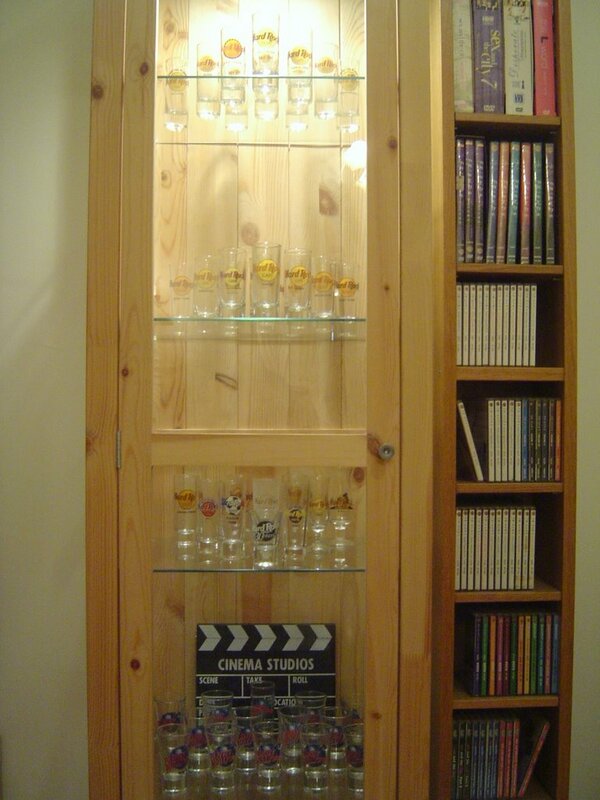 The mere mention of shot glass immediately turns to B; it's almost as if they covet to be in his display! Many people I know are in his collection. Zeff, Izzat, Sher, Qadir, Aireen are already holding their respective spots. Even my friends like Emily Chong, RajMo, Intan, Shyamala, Zulman and Raimy are in there somewhere - everyone but ME! Feeling left out just makes me more adamant about having a spot in his prized display. Our recent visit to Tokyo saw me hell-bent on securing my spot with a HRC Tokyo shot glass. 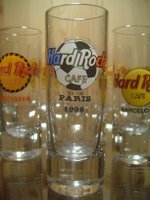 We visited HRC twice, but both times I was too excited and engrossed in other merchandise items to remember my "mission". In the end, B selected and paid for his own shot glass! Imagine my dismay when I realized I missed a huge opportunity to be in his collection. 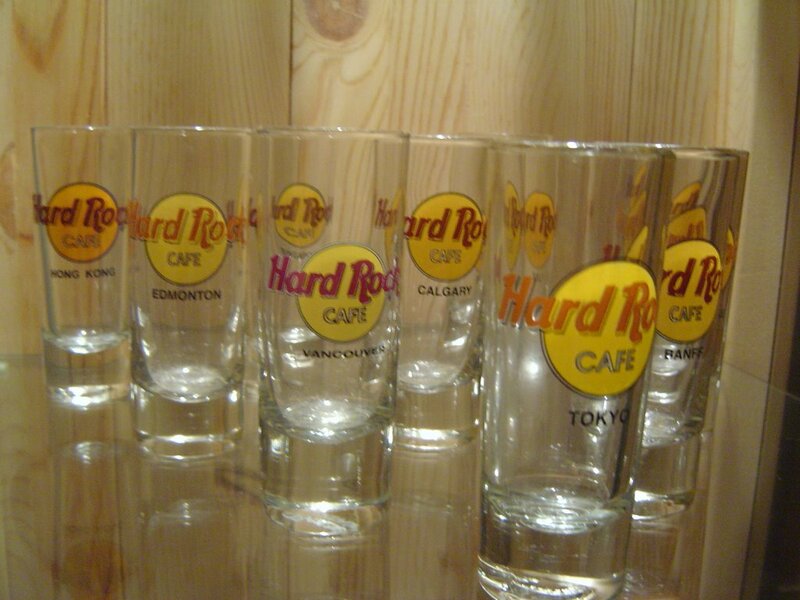 As disappointed as I was by my own lack of attention, I still insisted that the Tokyo glass bores my signature since I was there when he made his purchase - I just didn't make the actual transaction! Nonetheless, we both know that's not really the case. There's still hope though. 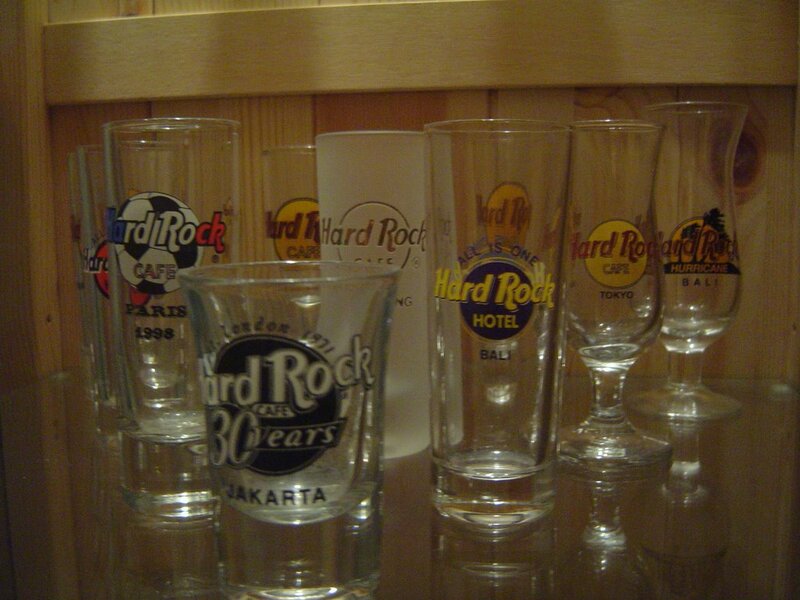 One shot glass, albeit easily obtainable, is yet to be featured in his display - HRC KL. Despite living in PJ and proudly owning a whole bunch of shot glasses from all over the world, B's collection is missing our very own KL version. Our countless visits to HRC KL have yet to end with this one significant purchase. There's always an excuse to refrain us from buying it like "Hey, KL is just around the corner, so what's the rush?" or "We'll get it next time, together with the Special Edition version" (Yeah, right!). So this is my early New Year's resolution: I shall go to HRC KL and get B his shot glass. At whatever cost or consequence. By hook or by crook, I WILL claim my rightful spot in his pool, right at the top - where I belong! Don't wait till new year la, Marzie! You go now girl! heheh girl.. November 22 is round the corner.. and new resolutions are waiting to be made.. have your materialised this one yet?...lolz.. sekarang mesti dah banyak collection B! Wah now even got the one from Jean right.. though not HR but still shot glass kan?? 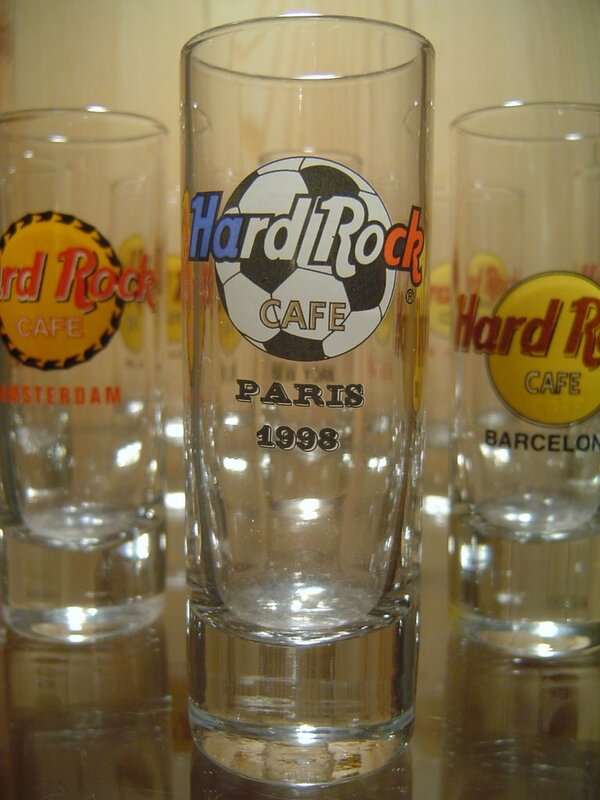 shot glass jugak tapi takde logo HRC. Eh dun mind aa marzie, i tolong jawabkan bg pihak you. Ha ha ha!!! Emila, now u pulak jadi my moderator kat sini, just like how I jadi ur moderator at ur blog LOL!!! Emila.. I'm on NOW at myevo!!!! hurry!!! you mean just watch out, no need to press play? why do i feel that I sounded like TH? 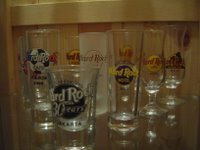 GP, dah dapat ke HRC KL punya shotglass? Nice la B's koleksi! got or not marzie? ada kan? I think GP dah ada dah Emila... eh I nak call you EM jer lah...boleh tak? ke EY ke.. which one you like EM ke EY?? hehe E je pun ok! ringkas dan cepat taip! hello LJ, this is E! now i start balik collect stamps lol! my last birthday marzie gave me fairy book! yay, i loveeeeee! the other day i bought mary cicely's book. she's a great fairy illustrator! best thing is the size is like those of BPs! and of course the publisher is Warnes! so you ladies, lj and debbs, you can always remember me bila nampak dragonfly or fairy! My BFF also loves dragonflies, she'll squeal in delight whenever she sees anything dragonfly! Dulu masa C's sister ada pub, they collect imported beer cans untuk display kat pub. ya, mesti ingatkan saya ya, Debbs!